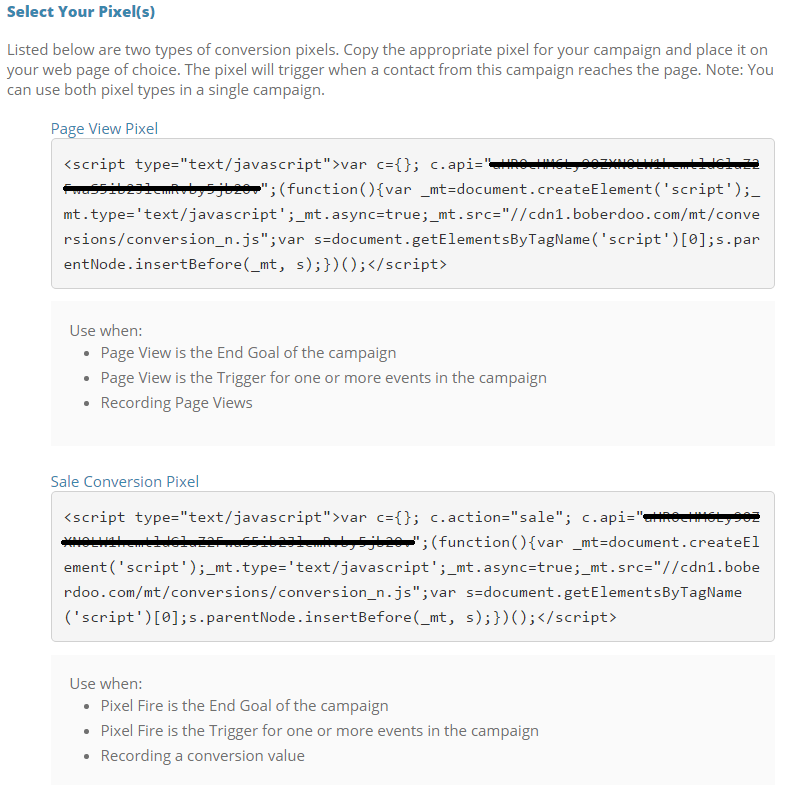 This page will cover the campaign tracking options that are available in Outbound Automation. If you are running an affiliate offer or any campaign that requires a pixel fire or page view, follow the instructions below. We strongly recommend tracking both email opens and email clicks in each campaign. If you do not track clicks, the system cannot record pixel fires or page views. If you are running an affiliate offer, recording a page view or firing a pixel for any reason in your campaign, select Yes for this option. Next, you will be given the option to track revenue with your pixel fire. This allows you to select a hardcoded value which will record each time your pixel fires. Revenue can only be tracked with our Sale Conversion Pixel. See next step. If you chose to generate a tracking pixel, the Pixel step will allow you to copy your pixel and place it in the appropriate location. Before copying a pixel, make sure you read the specific use cases for when each pixel is used. After copying your pixel, place it on the webpage of your choosing. When a contact from your campaign reaches this page, the pixel will fire and communicate the appropriate information back to your Outbound Automation system. If you are running an affiliate offer, copy your pixel and place it in the appropriate location via your affiliate network. Once your pixel is placed, your campaign will start recording your conversions. Pixel reporting takes place in a few locations in the system, depending on the type of pixel used and the campaign setup. If pixel fire or page view is your end goal: you can see the amount of pixel fires that took place in your campaign by locating the End Goal Reached stat in either your campaign dashboard or your reports section. If you used a sale conversion pixel: you can still see the number of unique pixel fires under the End Goal Reached Stat. However, because sale conversion pixels also allow for revenue tracking, there is an additional stat called Sale Conversion that tracks all sale conversion pixel fires. 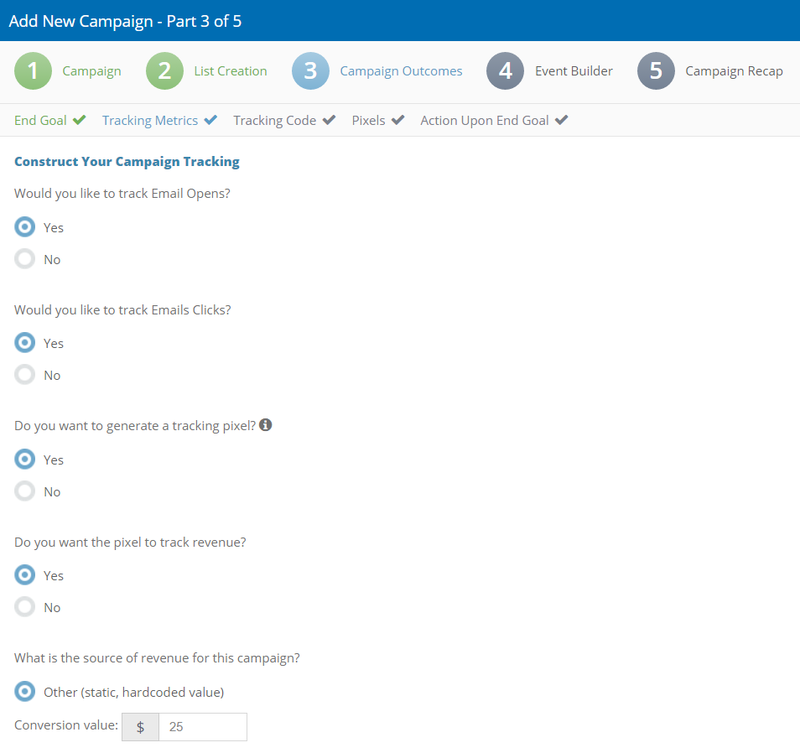 For example, in your Campaign Overview report, you will see a column for Sale Conversions. Additionally, if you chose to track revenue for your pixel, this will track in your Total Revenue column.